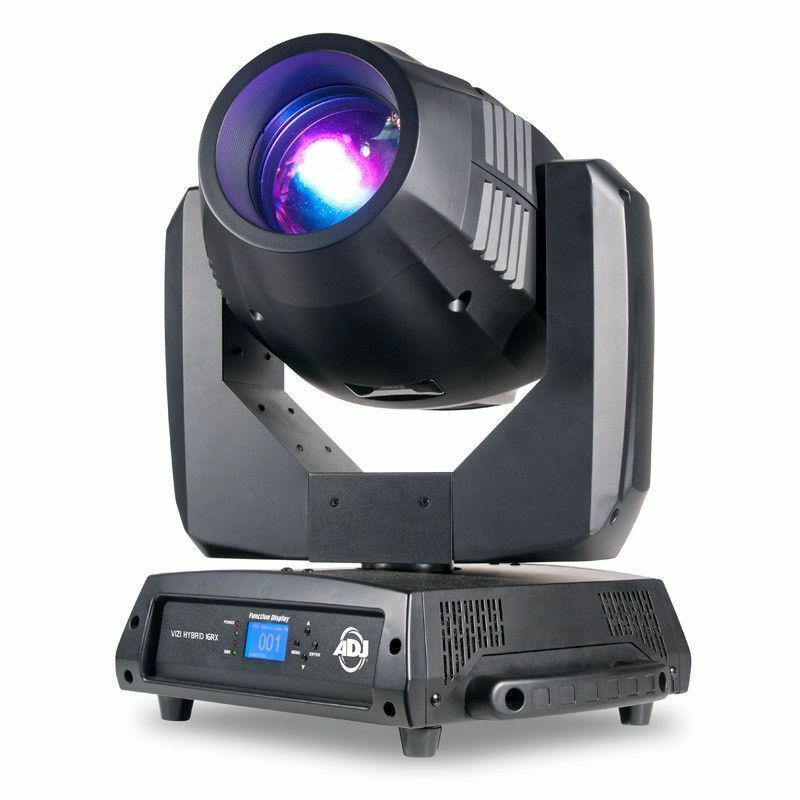 A true Spot/Beam/Wash hybrid Moving Head fixture, the ADJ Vizi Hybrid 16RX features Prism Layering, GOBO Morphing, motorized zoom, motorized focus and 6 & 8-facet rotating prisms. 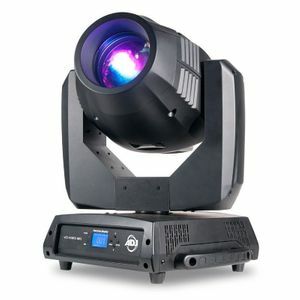 A true Spot/Beam/Wash hybrid Moving Head fixture, the ADJ Vizi Hybrid 16RX features dual Prism Layering, GOBO Morphing of dual gobo wheels, motorized zoom and motorized focus. Other professional features include: Frost filter to turn the hard edge beam to a wash, 6 & 8-facet rotating prisms, stepper motors for quick, precise movement. The Vizi Hybrid 16RX Moving Head fixture is powered by the revolutionary Philips® Platinum 16R discharge lamp technology (8000˚K, 1,500 hr). The powerful Platinum 16R has an output comparable to a 575W fixture, with double the output of a 250W fixture. It also offers a flat, even spot field and even more saturation of colors. The Vizi Hybrid 16RX is much faster than previous ADJ moving heads because it is much lighter in weight and more compact than other moving heads in its class.